Welcome to the Marina Alta Classic Car Club the home of like minded enthusiasts who wish to indulge their passion, have fun, and enjoy the warm social atmosphere created by its members. Please find attached the latest news flash, which includes information about the Spring Ball (29 March 2019), the chosen charity for 2019 and the Spring Gallop (24-26 April 2019). Also included is news that the club has recently received approval for the club statues from the Valencian authorities, the result of several years effort; well done to all involved. 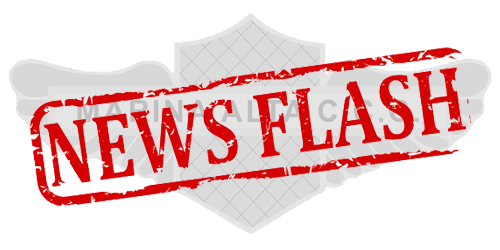 Dear Members, please see the latest News Flash, including information on the Spring Ball and the Spring Gallop Rally. 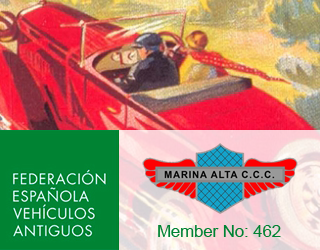 Welcome to the Marina Alta Classic Car Club the home of like-minded enthusiasts who wish to indulge their passion, have fun, and enjoy the warm social atmosphere created by its members. Here at MACCC, all you need to join is to be an owner of a classic car, historic car or a sports car with heritage. Your partner can be a member too, as we offer joint membership. Being a member means you can look forward to enjoying all the club benefits, Ace Café meetings on the second Sunday of each month, monthly and annual rallies, technical advice and much, much more. As a club we also attend charity events to support the less fortunate in our area.